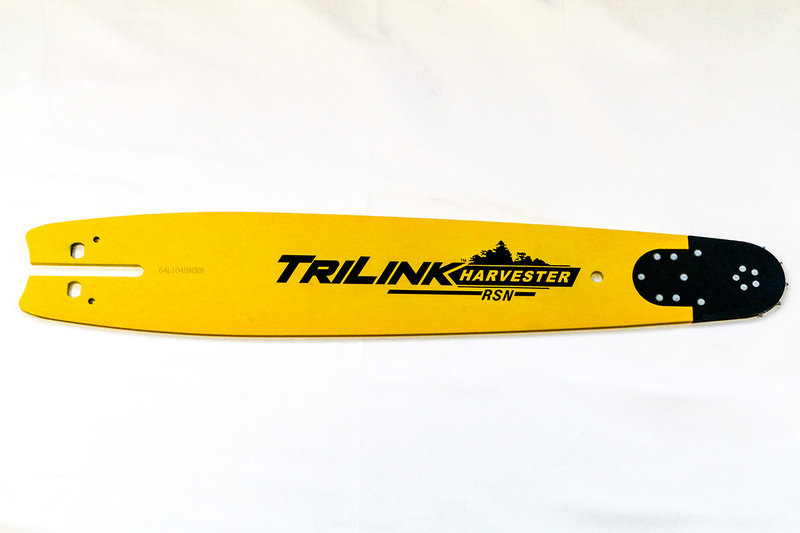 TriLink Harvester CHAIN is manufactured from high quality alloy steel. The micro radius semi chisel cutters increase cutting speed while providing wear resistance. The increased kerf width and multi-layered chrome plating provide advanced cutting efficiency and durability. Made of solid steel for the extreme demanding cutting challenges faced by operators. THe breakaway nose design minimized bar damage if nose is pinched. The fully riveted nose construction adds strength absorbing the majority wear.